Mitsubishi Electric (Malaysia) - LEONG HING ELECTRICAL ENGINEERING SDN. BHD. Mitsubishi Electric creates high quality electrical and electronic products - for the home, business and industry. The Mitsubishi Electric fans we supply in Leong Hing provide a strong and comfortable airflow. All the models that we have in stock feature a smart compact motor and attractive design. The pedestal and wall fan models feature Rhythm Mode which replicates a natural breeze airflow. When you think of Mitsubishi Electric, you probably think of high quality air conditioners, but, since 1977, Leong Hing Group has been touching your life in so many other ways with Mitsubishi Electric. No matter where you find Mitsubishi Electric, you'll see the same hallmarks of performance and dependability. With Mitsubishi Electric, it's all about quality of life. 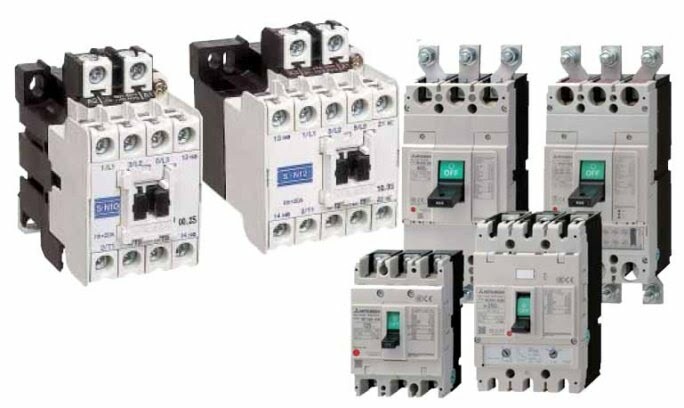 Mitsubishi Electric offers a complete range of switchgear products, including everything from air circuit breakers and compact moulded case circuit breakers to magnetic contactors and thermal overload relays. High reliability, simple installation, easy operation and trouble-free upgrading are just some of the outstanding features of our range of switchgear.